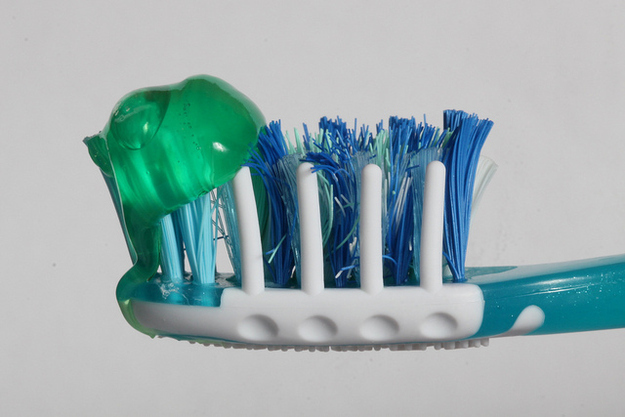 THIS is how much toothpaste you should be using. Stop filling up that whole brush! There really only needs to be that one reason why. In commercials, they fill up the whole brush 'cause they know you're a sucker who'll do as they do! Don't do it! Don't be that sucker!